We’d love your help. 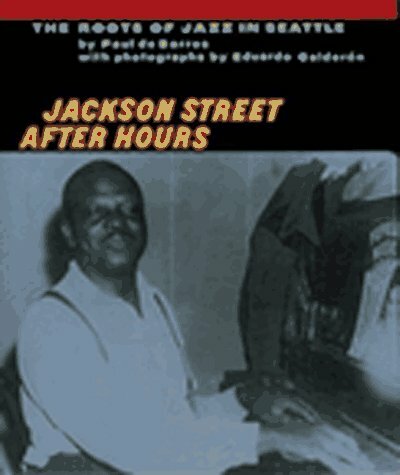 Let us know what’s wrong with this preview of Jackson Street After Hours by Paul De Barros. 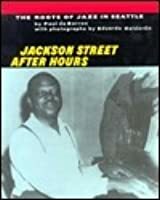 To ask other readers questions about Jackson Street After Hours, please sign up. A mixed bag, mainly of interest to jazz history buffs and Seattleites. The worst thing about this book is its non-standard size -- it's just too floppy! It gets a bit tedious at times, since one of the reasons for this book's existence is to document -- and give credit where credit is due -- every jazz musician who ever played a lick in the early Seattle jazz scene. So it's page after page of this 'n' that guy's progress from one band to another, one gig to another, moving to L.A. and back, to N A mixed bag, mainly of interest to jazz history buffs and Seattleites. The worst thing about this book is its non-standard size -- it's just too floppy! It gets a bit tedious at times, since one of the reasons for this book's existence is to document -- and give credit where credit is due -- every jazz musician who ever played a lick in the early Seattle jazz scene. So it's page after page of this 'n' that guy's progress from one band to another, one gig to another, moving to L.A. and back, to N.Y. and back, and the guy's reminiscences and opinions of cats he played with and joints he gigged at. But there are occasional interesting nuggets, and many are about the city, not the musicians. For instance, Bertha Landes was mayor of Seattle in the 1920s and the book documents her campaigns to shut down the popular dance halls of the day. She was a 'clean-up-the-town' official during Prohibition, busting clubs with frequency and enthusiasm. This makes me smile wryly when I attend meetings in City Hall's Bertha Landes room. If I was diligent I'd be writing down the names of these cats what sound appealing and be hunting for their old recordings. I did, in fact find a terrible quality mp3 download of a concert by the Cecil Young Quartet on Amazon. The music is pretty fun, too bad it was digitized from a scratched and skippy vinyl disk. But check out 'Who Parked the Car' if you get a chance. In the end it was a worthwhile read, and I learned a lot. Influential but now unknown names like Bumps Blackwell, Pony Poindexter and Neil Friel are now at home in my head. It was also fun learning the popular but long-gone venues back in the day -- the Trianon Ballroom, the Black and Tan Club, the New Chinatown, the Rocking Chair, the 908 Club, the Mardi Gras, the Savoy Ballroom, Pete's Poop Deck, the Llahngaelhyn. Not an insignificant portion of the narrative shines a light on Seattle's history of race relations. It was interesting learning about the separate black and white musician's unions, and how a Seattle musician successfully defeated proposed legislation to outlaw interracial marriage.